Holiday Planner is the leading company that is specialized in offering Car & Coach Rental services in the in Andaman and Nicobar Islands. A well-maintained good quality car can be rented from us throughout the year. We are offering a wide assortment of cars and coaches inclusive of Compact cars, Economy cars, Premium cars, Standard cars and Compact Pick Ups. We also render Wedding Car Rental Services in Andaman. 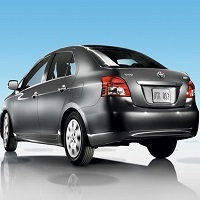 It is always a good choice to hire a car for a better travel experience on the Island.